The release of the 8th book in this wonderful series got me reminiscing about my journey with Harry Potter. You may think it dramatic for me to call it a journey but truly that’s what it feels like. The first time I met Harry, I was 12 and had gone to spend holiday with my cousins in Kaduna, Nigeria. Growing up I had an insatiable thirst for reading, so imagine my excitement when I stumbled upon “Harry potter and the prisoner of Azkaban” in my cousins’ room one afternoon. 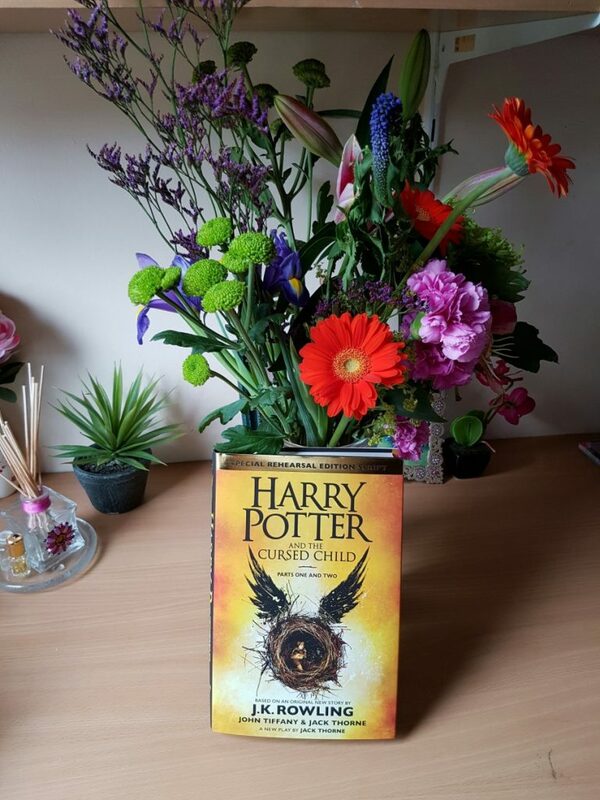 I immediately buried myself into it, and as you know, that was book 3 which meant a lot of the Harry Potter lingo was already apparent to a person who read the first and second, but not me, still I kept reading and by the end of it, I knew it was special. Back then Harry Potter was not a huge deal in Nigeria, and I didn’t really know how to get my hand on the previous books. I remember the series I was obsessed with at the time was the secret seven books— I read that haphazardly as well! School break was over and I resumed boarding school, and boy was there a huge delight waiting for me. One of the girls in my class came back with her copy of “Harry potter and the chamber of secrets” and you guessed right, I immediately got my hands on it and got lost in the wizarding world yet again! By the end of that i knew i was hooked and not looking back. The next time I spoke to my dad on the phone —boarding school remember? !—I requested my gift for his next trip to london was Harry potter books! My entire teen years revolved around waiting for the next book/movie to be released. Everytime my dad travelled to London, I was more expectant for his return because it meant I had a book I’d waited months for to read— tribulations of a book nerd growing up in Nigeria. And like clockwork, every time he comes back, my Harry Potter book is always in his hand luggage because he knows I will be waiting for it and no kidding I start reading and don’t stop until I finish! I can still remember clearly bawling my eyes out when dobby, Sirius and Albus died. And as like everyone else I imagine, deathly hallows was the most difficult to read. That was an emotionally draining book. So as a new chapter is opened —Muchos Gracias Mama JK—I’m excited to continue on my journey inside the Wizarding World of Harry Potter. And as a true potterhead, I keep carrying on the legacy. For my final assignment on data visualization, I honoured all that is Harry Potter and dedicated my assignment to all potterheads. So click on the link below to learn more about behind the story of harry potter!